The first Jet Ski I ever owned was a 1986 Kawasaki 750SS, purchased brand new. When I called to have it insured, the question was asked "How much horsepower does it have?". I had the title in front of me and it stated 75 horsepower, but when I repeated the number to the agent he promptly responded, "That can't be right, they don't make Jet Ski's with that much power". The words came back to me when I heard about the new Kawasaki Ultra310R, and it's power rating of 310hp. I thought, "That can't be right, they don't make Jet Ski's with that much power!" 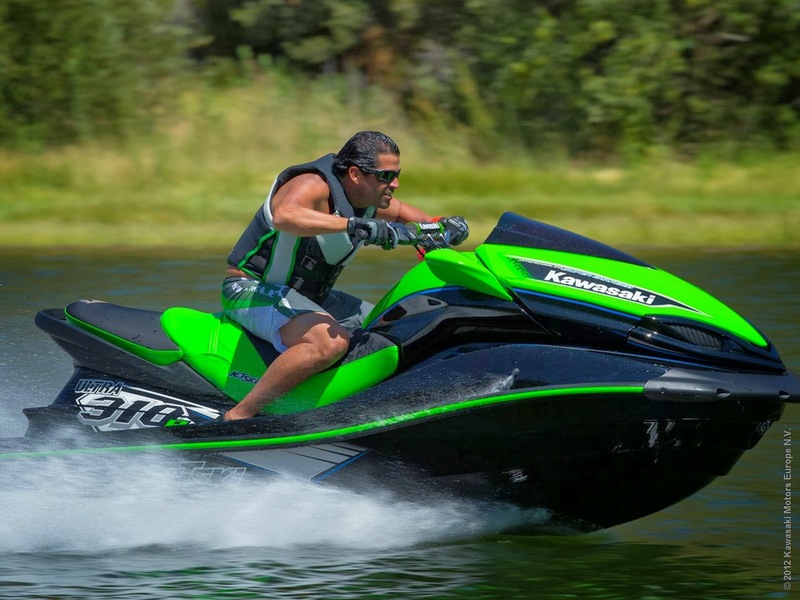 With a 1.5L supercharged 4 cylinder engine developing 310 horsepower at 8000 RPM, producing 1,890 pounds of thrust, in a machine that weighs just over 1000 pounds dry, it is an amazing performance profile for a personal watercraft. This performance comes at a price of course, the 310R has an MSRP of $16,299, and about the only innovation other than amazing numbers that it buys is a fully electric trim system. 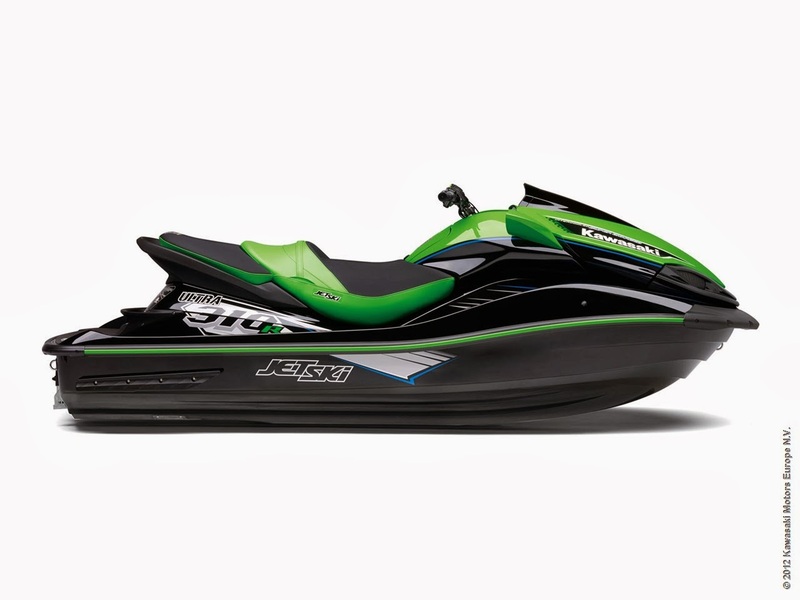 Kawasaki has been making Jet Ski's for a long time, and understand well that power needs control, so they given the 310R a deeper V-bottom hull at 22.5 degrees for a smoother ride in rough water. Counter-intuitively, the deeper V-hull also means the 310R will slow down faster than other personal watercraft once power is removed, meaning a release of the throttle at full speed could be nearly as g-force inducing as coming out of the hole with the throttle pinned to the grip. With it's relatively deep V-hull, pinning the throttle out of the hole with the steering hard over will likely bury the bow and turn the 310R into a submarine for a few seconds. This is a 70+mph personal watercraft, so to provide some measure of supervision the 310R comes with two sets of keys, one green for unrestricted power, and a yellow one that dials it down by 30%, still leaving over 200 horsepower available to your brother-in-law who wants to take it out for a spin.